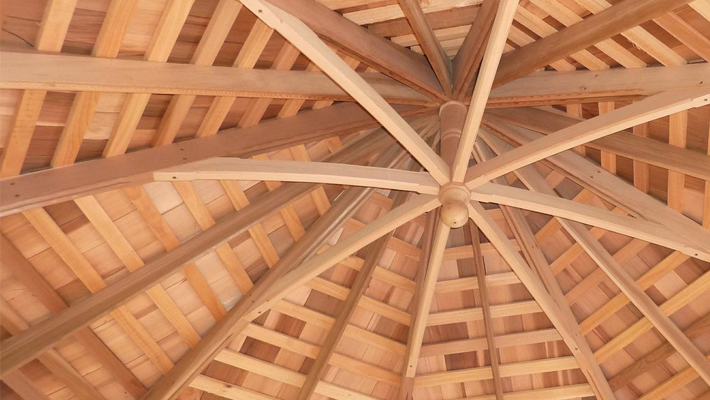 Make the most of your garden this summer with a bespoke hand-crafted cedar Garden Gazebo from Victorian Garden Buildings. Provide your garden with a stunning feature and an exciting addition to your garden. Sit outside protected from the sun and enjoy your garden or enjoy the Gazebo as a cozy sanctuary. Victorian Garden Buildings offers a variety of styles and sizes, and each garden Gazebo is custom- made to suit your garden and requirements. In addition full ground preparation and installation services are also available providing the customer with peace of mind and convenience that everything will be completed to full satisfaction. The Victorian Gazebo is ideal for customers preferring a garden building with a more open design. Each Victorian Gazebo is made from Western Red Cedar and to the same exacting standards of workmanship and finish as our Victorian Summerhouses. Victorian Garden Buildings Gazebos are available with/out floors and also in a range of sizes & formats, i.e., hexagonal/octagonal shapes with diameters ranging from 6 feet (1800mm) – 10 feet (3000mm). Prices start from € 2,700.00 (excluding delivery, installation and VAT). For more information, please call 087- 2306 128. Bespoke handcrafted A Gazebo is the perfect addition to any garden.